​Walter and Gordon Gehringer are included in a very select group of qualified winemakers that are British Columbia-born yet have learned their craft in Europe. They compete amongst the world's best year after year, and their hard work, and dedication to perfection has not gone unnoticed. 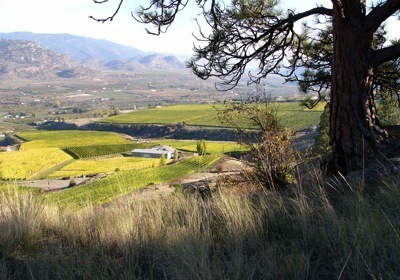 Join us on this web site to learn about our winemaking and our wines, located on the famous Golden Mile Bench between Oliver and Osoyoos in the South Okanagan Valley. Click here for a winery brochure. Learn more about Gehringer Brothers Estate winery by watching our video. After their father Helmut & his brother Karl completed a seven year micro-climate evaluation, the present vineyard site was purchased in 1981. In 1985 the winery was built and the first vintage produced. The past 30 years of passionate winemaking on the Golden Mile Bench is reflected in the unparalleled level of consistency. ​This dedication to capture the essence of the grape has crafted a tradition, consistently attaining VQA status and winning numerous ﻿awards﻿. Today, the winery boasts an impressive line-up of 20 wines consisting of the following labels: Gehringer Brothers Classic, Private Reserve, Optimum, Dry Rock Vineyards, Minus Nine and Signature Icewines. The Gehringer style is a symbiosis of terroir, ripe sweet fruit and firm acidity. We strive for wines of excellent quality that are easy to drink and that represent a good value. Proof of our quality is demonstrated by the number of awards that we win, year after year. The Gehringer brothers' dream of an estate winery goes back to 1973. After high school Walter Gehringer went to West Germany for five years where he acquired his fine wine-making skills, graduating from the world-renowned University of Geisenheim with an Engineering degree in viticulture and oenology. ​Gordon Gehringer also spent four years in West Germany studying the wine master’s art and graduating with a degree from the State College and Research Institute for Viticulture and Horticulture in Weinsberg.